Macro photography is one of the most fascinating methods of photography, as it lets you see everyday objects in a totally new way. Getting a super-close look at plants, animals, materials, and even the human body can be a fun experience, but spending hundreds of dollars on a macro lens 5 Common Photo Lenses and When to Use Them 5 Common Photo Lenses and When to Use Them Though there's no photographic rulebook when it comes to focal length and aperture, there are a few best practices to remember. Read More isn’t realistic for many people. Fortunately, there’s a much more inexpensive option: reversal rings. Reversal rings allow you to mount your lens on your camera backwards. Instead of the lens being close to the camera body, it’s now further away, which allows you to focus on objects that are much closer to your camera. The inability to focus on a subject that is very close to the camera is what makes macro photography almost impossible with a regular lens. There are two types of reversal rings. The first type has threads on one side and lens-mounting projections on the other. The threads screw into the end of your lens, and the other side mounts to your camera like a regular lens. This is the type of ring I’ll be using for the examples in this article. The second type of ring is threaded on both sides, and lets you mount a lens backward on another lens. This greatly increases the focal length of your setup, and moves the lens even further away from the camera body. It’s easy to find an inexpensive reversal ring that will do the job — this offering from Goja costs $10 and comes with a cleaning cloth. The equivalent made by Nikon costs $29. You can also find more complicated setups that are more expensive but give you a few more options. This set from Fotodiox, for example, includes a reversal ring, aperture controller, and UV protector for $30. Buying a reversal ring for your camera requires that you have two pieces of information. First, the type of camera body and lens mount that you have. Most reversal rings list a variety of different camera bodies in the Amazon descriptions, so you can look there for your camera. The second piece of information is the thread diameter of your lens. Each lens should have this information printed on the barrel (it’ll look like this: ø 58mm). Once you have these two pieces of information, you can buy a ring! More expensive ones will likely be made of more durable materials, but in general, you probably won’t see a whole lot of difference between rings. To get your camera set up and ready for taking some macro shots How To Get Started With Macro Photography How To Get Started With Macro Photography Read More , you need to get the reversal ring attached properly. Just follow these steps. 1. Remove the lens cap from your lens and screw the reversal ring into the filter threads. Switch the lens to manual focus. 2. Remove the lens from the body of the camera, turn it around, and lock the reversal ring into place on the camera body like you would a normal lens. 3. Adjust the aperture on your lens. As you may notice in the image above, the electronic contacts that usually allow your camera body to control the aperture of the lens are no longer facing the camera body. You’ll have to adjust the aperture manually. If you have a manual aperture ring, just turn the ring until you get to the aperture you want (starting with something in the middle, like f/11, would be good). 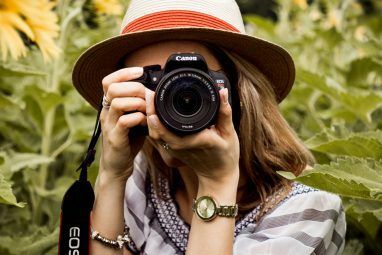 If you can adjust the aperture on your lens, going with a smaller aperture (bigger f/stop number) is going to advantageous, as the depth of field in macro photography can be very small. Once you’ve done this, you’re ready to go! Use the zoom and manual focus to get your images sharp, and start snapping away — it takes a bit of practice. I found that I needed to have my lens zoomed all the way out to 55mm to get any sort of sharpness. You’ll notice that the depth of field on your pictures is extremely shallow with a reversal ring, as you can see in the image of the wine cork above. You can use it for artistic effect (sometimes you want a very shallow depth of field) or you can try focus stacking. In short, focus stacking lets you take a number different pictures, each with a different focus, and combine them into a single photo that has a larger depth of field than any of the original images. As I mentioned before, the depth of field in macro photography is often very shallow, so you can end up with a tiny portion of your photo in focus. This is a great solution to the problem. For focus stacking to work, a stable tripod is absolutely crucial. 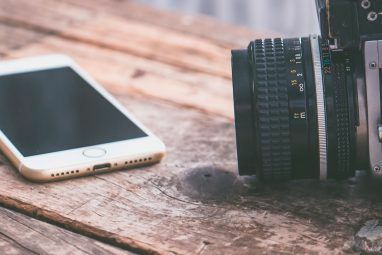 All of your pictures need to have the same elements in the same places (a remote or cable release can help keep your camera from moving when you’re taking the photos). For this example, I’ve used a macro shot of some Pilot G-2 pens. In the first shot, I’ve started with a near focus (the purple pen). In the second shot, I’ve moved to a focus point further away (the red pen). By using Pixelmator (which you should be using Pixelmator - The Image Editor That Mac Users Should Be Using [Giveaway] Pixelmator - The Image Editor That Mac Users Should Be Using [Giveaway] Ever since we first featured Pixelmator in March 2010, it has been improved in so many ways. It's pretty much the affordable Photoshop alternative for Mac. We're giving away 25 copies of the latest version... Read More if you’re on a Mac), I combined the two images, replacing the out-of-focus purple pen in the second shot with the in-focus one from the first shot. It’s not perfect, but it works pretty well. Generally speaking, the more focus points you have, the sharper your resulting image. Obviously, using a reversal ring has some drawbacks compared to a macro lens (notably losing finite control over aperture and a lack of autofocus), but paying $20 instead of $600 will be enough reason for most people to start out with this method. If you decide you’re fond of your macro results, your purchase of an expensive lens may be more justified. 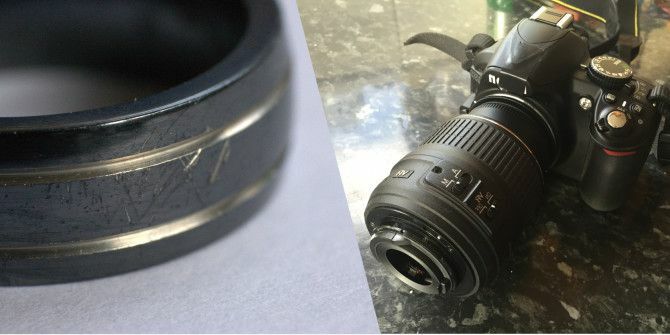 Reversal rings offer a great way to get the most out of your DSLR Are You Getting The Most From Your DSLR? Are You Getting The Most From Your DSLR? A great shot is a split second event. Getting it right is knowing which camera feature to use and when. Here are ten DSLR features that could inspire you to power on your camera. Read More without emptying your wallet. Getting used to the way your lens behaves when it’s been reversed can take a while, but with some practice, you will be taking great macro photos in no time! Have you used a reversal ring on your camera? What did you find easy or difficult about it? Do you have any tips to help photographers getting started with macro photography? Share your thoughts below! Explore more about: Camera Lens, Digital Camera, Photography. Hi there! I want to know if it is possible to buy a reversal lens for a Canon EOS Rebel t2i. 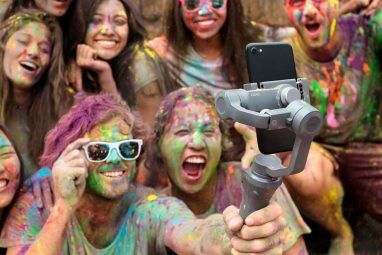 If so, then where can I get it in the Indian market. The Rebel has not been officially launched in india, but it has come out in a different name, which I'm not sure of. I don't want to order the lens from abroad as it will only increase my expenses. I think a lot of it depends on exactly what you're trying to photograph. If there's a lot of detail and you want to get really, really close, a reversal ring will help. But for the most part, using a normal or telephoto lens works pretty well. Especially if you don't need to be right next to your subject to get the focus right. It's definitely a trade-off. Although it gives good results, personally I don't use mine that much due to the challenges of using it. You have to get incredibly close and if the camera (don't try to shoot handheld) or subject moves even a tiny bit the whole thing is thrown out of focus. A trick to set the aperture for Canon users is to go into AV mode then set your aperture and hold the depth of field preview button while you remove your lens. With time and patience you can achieve very good results. If you don't want to get quite so close you can get close-up filters which are much easier to use. Thanks for the Canon tip! Not being able to easily adjust the aperture is one of the more frustrating parts of using reversal rings. It's not too bad once you get used to it, but you don't have any fine control. I'm thinking about getting one of those setups that allows you to adjust it a bit better. I'm not familiar with close-up filters; do they just provide additional magnification in front of the lens? I have a lens tube and reversal ring; i play around with my 50mm 1.8; trust me you have to be extremely close to your subject. just few inches away from your subject. i have been freaking out every single insect around my house. It takes a lottttt of patience to get it working. Yes, that's very true, on both counts. You need to be right up against your subject, which can be tricky in some situations. And it does take a monumental amount of patience, especially if you're trying to get a very specific part of the image in the tiny slice of focal plane that's available. But when it works, it makes for some great images! And it's still significantly cheaper than a macro lens. How do you like using the lens tube? I thought about going with one of those, but the ring was a lot more affordable.